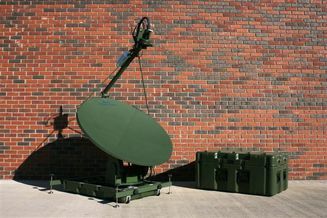 AvL FlyAway Mobile VSAT Antennas are designed to meet and exceed the highest performance requirements around the world to guarantee both satellite authority compliance and peak in performance, reliability and availability. These antennas are priced to include the AvL engineered composite reflector and auto-acquisition controller for ease of operation. As with all AvL antenna systems, no laptop is necessary to operate the controller, the antennas interface with any modem, RF electronics, or satellite service.